Click the image above to read the special section. If it seems that Minnesota Lawyer has increased our focus on Diversity & Inclusion in the past two years, thank you for noticing. Our mission is to present news and information in an unbiased and fair way, and I believe we do so. But, as the leading media for the legal community in Minnesota, I also realize that we have a rare opportunity. We have a platform to connect people, a platform where you can communicate ideas and drive action. 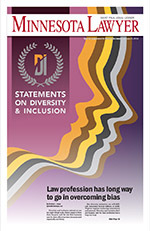 On the topic of diversity, our readership crosses the spectrum of “interested parties”; law firms large and small, in-house counsel, legislators, public service and non-profits. When information is everywhere, we provide a single forum where the legal community can gather. Our goal with this section and the other Diversity & Inclusion events we host is to provide that platform to raise the level of awareness among our readers. We will foster conversations and showcase those individuals and groups that are taking action – actually doing the work. The Annual Diversity & Inclusion awards recognize the doers, not the talkers. 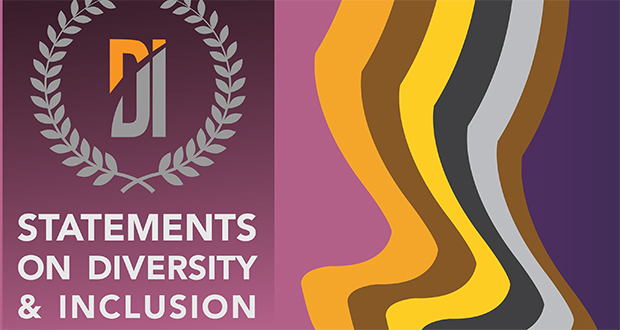 Statements on Diversity & Inclusion offers you a chance to hear directly from these firms and organizations about their goals and achievements. The idea for this section came from Minnesota Lawyer’s Experts Forum on Diversity & Inclusion held at Patterson Thuente on November 21, 2018 where the panel discussed their experiences, and expectations for their law firms. This quote from Eric Rucker, senior counsel, litigation and preventive law at 3M, caught my attention. This bit of the conversation brought me back to Minnesota Lawyer’s role in helping connect the dots. We decided to create a platform where firms and organizations can share their statements on Diversity & Inclusion to let prospective clients, employees and the community know what they are doing to achieve their stated goals.